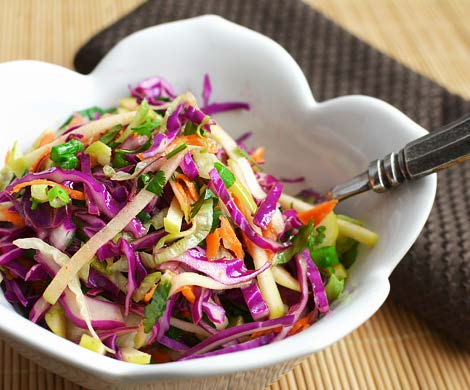 Cabbage, like all other cruciferous vegetables, is very powerful liver foods and really enhances the body’s ability to cleanse toxins from the body. Examples of other cruciferous vegetables include: arugula, bok choy, broccoli, brussel sprouts, cauliflower, collard greens, kale, mustard greens, radish, and watercress. Mix everything in a serving bowl. Let it sit for an hour, stirring once or twice.